Elaine has been with Sheerwater Glass for a whopping 30 years! However, she hasn’t always played such an active role in the family business. Elaine joined the Sheerwater Glass team back in 1988 as the wife of Gordon, another Director. During this time, Elaine and Gordon started their family and Elaine spent a very busy few years bringing up their two children. 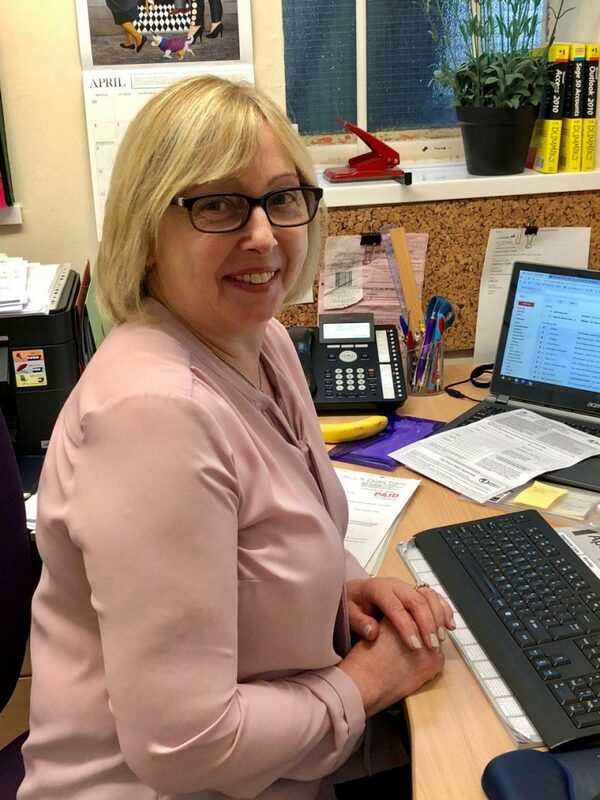 When the children started school, Elaine became more hands-on in the business, helping out in the office with admin and by keeping the showroom and offices clean and tidy. As the business grew, Elaine was able to use her skills and professional background in computing and qualifications in accounting to take charge of the bookkeeping and manage the administration for Sheerwater Glass. Today, Elaine plays an essential and important role within the business, ensuring suppliers and staff get paid and keeping the accounts running smoothly. Today we caught up with Elaine to learn more about the family business and her passion for tennis! 1. What do you think has led to the success of Sheerwater Glass being in business for over 40 years? I think it’s our loyalty and commitment to our customers, providing them with a first class service. We’ve always tried to be consistent, and we don’t push our sales; we genuinely care about our customers. 2. What are the biggest changes you’ve seen happen to the business since you started working here? How we’ve grown in size. In the beginning, there was just Gordon and his business partner selling and they had one fitter. Now we have twenty members of staff! Also, technology and communication between customers have increased dramatically. When I first started here, there were no computers or mobile phones, but now we embrace modern technology and it enhances our business; it keeps us moving forward. 3. What skills do you require to carry out your job? A good knowledge of bookkeeping and accountancy skills, being patient and methodical, and having good time management. 4. How would you describe a typical day in the office? I talk to suppliers and customers on the phone and deal with the banking. I feel like I’m making a difference in supporting the family business. 6. Do you have any hobbies or interests? I love tennis, I like to play at least a couple of times a week. I also enjoy taking dance classes. 7. How do you like to spend your free time? With the grandchildren and spending quality family time away from the office. 8. How do you like to relax? In front of the TV watching “Call The Mid Wife” and “Coronation Street”.